"The entire goal of the bill is to circumvent the law and the courts." A bill passed the House Wednesday that would overturn an order intended to help endangered salmon by spilling extra water over four Snake River dams. Earlier this month, an appeals court affirmed a district court order for the spills, which essentially trade some energy production for increased fish protection. Washington state Republican Rep. Cathy McMorris Rodgers' bill, which now moves to the Senate, would lock in place a 2014 plan for protecting endangered salmon and steelhead that has been rejected by U.S. District Judge Michael Simon of Portland as insufficient. 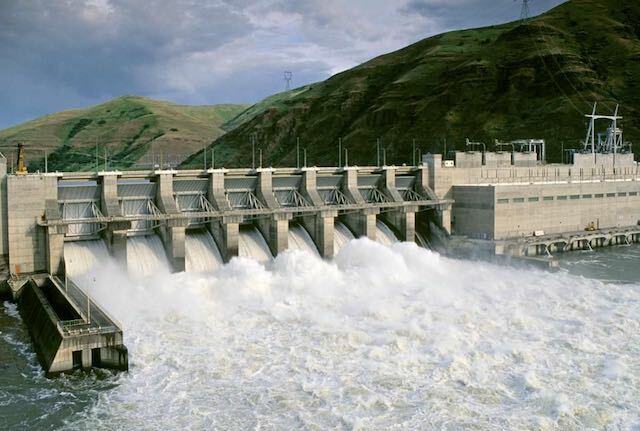 It would bar changes in the operation of the Snake River dams until October 2022. The 225-189 vote on the bill was almost entirely along party lines, but Oregon Rep. Kurt Schrader was one of eight Democrats who backed it. He was also a cosponsor, joining with Oregon Republican Rep. Greg Walden. "Scientific experts steeped in fish recovery and clean renewable energy will be able to do their job based on good science rather than an ideological crusade to eliminate dams on the river system resulting in the loss of our region's best carbon free energy asset," Schrader said in a statement. "Simply put, the Columbia River Power System will be managed according to the 2014 Obama Administration approved biological opinion until a new BiOp can be completed by 2022, saving ratepayers millions of dollars." When it enacted a 5.4 percent rate increase last fall for the 2018 and 2019 fiscal years, the Bonneville Power Administration included a "spill surcharge" of about 2 percent to pay for the cost of the new spill requirements, which are to run until mid-June. Under Simon's order, the Army Corps of Engineers is increasing water spilled over the Snake River dams and four Columbia River dams to a level that goes right up to the limit allowed by dissolved-gas limitations. A three-judge panel of the U.S. Court of Appeals for the Ninth Circuit agreed that, contrary to an appeal by the federal agencies, Simon's order was well founded. Simon has also ordered consideration of breaching the dams as federal agencies work on a new fish plan. It's a concept long advocated by conservation groups, who say the power generate at the dams could be replaced at a relatively small cost and with virtually no increase in greenhouse-gas emissions. "HR 3144 is a giant step backwards in our region's effort to restore salmon populations," Todd True, an Earthjustice attorney, said in a statement. "The entire goal of the bill is to circumvent the law and the courts."